Dental calculus (tartar) is composed of various mineral salts, organic material and food particles. In the early stages of accumulation, the material is soft (plaque), but it later hardens and adheres to the teeth. Continual accumulation causes inflammation of the gums and eventual recession of the gums and loose teeth. The breath becomes very odorous and the mouth becomes a dangerous source of infection. Untreated tooth and gum disease may allow bacteria to enter the bloodstream and cause damage to the valves of the heart. Feed hard or coarse foods. Provide rawhide, hard rubber or nylon chew toys or hard treat foods. Remember that the treat foods are a source of calories and may lead to obesity if too many are given. Brush your pet's teeth periodically. Your veterinarian can provide a special enzymatic toothpaste developed for the teeth of cats and dogs. Abrasive dental cleaning pads are also helpful in cleaning the teeth. Water and baking soda can be used with a soft toothbrush but are less effective than toothpaste developed for animals. 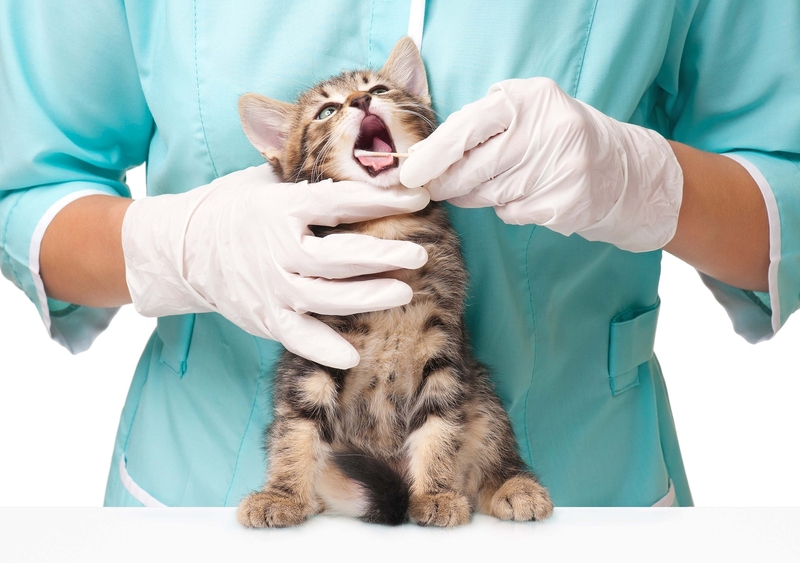 Regular professional cleaning by your veterinarian is the most effective way to ensure good dental health for your pet.